The European Commission today announced the results from the latest Eurobarometer poll - carried out in May during the height of the crisis - with a press release carrying the headline,"EU citizens favour stronger European economic governance". 75 percent of Europeans, we are told by the press release, are in favour of giving the EU a stronger role in the coordination of member states' economic and budgetary policies. "The clear majority for enhanced European economic governance shows that people see the EU as a decisive part of the solution to the crisis". Clearly, something fishy is going in here, not least since only 26 percent of people then go on to say that they consider the EU best placed to deal with the financial and economic crisis. And sure enough, the Commission is trying to take us for a ride. Respondents to the Eurobarometer survey were only asked whether or not "a stronger coordination of economic and financial policies among all EU member states" would be effective to combat the ongoing crisis (see p. 38 here). The question doesn't even mention the role of the EU or the term "European economic governance". Creatively, the Commission then adds up the respondents who think that stronger coordination would be "very effective" (26 percent) and those who only find it "fairly effective" (49 percent) to reach the 75 percent figure. Seriously, how stupid do they think we are? By no stretch of the imagination is this the same as 75 percent of Europeans being in favour of giving the EU more powers to monitor national economies, which the Commission is trying to make us believe in its press release. The Eurobarometer could have asked this question instead: “Do you think that the EU should be given more powers to monitor your country’s economy, including decisions on public spending and taxation?” We suspect the result would have been completely different. What the Commission really should be focussing on is the troubling fact that only 49 percent of respondents think that EU membership is "a good thing" down from 53 percent last year. Or that the percentage of people who think that EU membership is "a bad thing" has reached its highest level in a decade - now at 18 percent (see p. 12). What's more, the percentage of people who think that EU membership is a good thing has decreased by 5 percent in France and the Netherlands, for example, and by a striking 10 percent in Germany (down to 50 percent) in only one year. Incidentally, these countries are all net contributors to the EU budget. Is the Commission getting the hints? We hope so, but somehow doubt it. Ps. If we were to use the same method as the Commission to support our claims, we could add up respondents who said that EU membership is "a bad thing" with those who said it is "neither good nor bad" (29 percent) to obtain a remarkable 47 percent of "EU non-enthusiasts". Do you remember all that talk about how national parliaments would be strenghtened under the Lisbon Treaty (something which the pro-Lisbon camp continuously banged on about, presenting it as a 'fact', when in reality it's anything but)? We've looked at what post-Lisbon life is like for national parliaments many times before (and it ain't that pretty), but it now appears that national parliaments' "new powers" to challenge proposals from the Commission are being tested for the first time. The Lisbon Treaty says that, in the event that a third of national parliaments - that's 9 - get together to oppose their governments on a piece of legislation, on the specific grounds of 'subsidiarity', and within an 8-week window, then the legislation would have to be reviewed, following which, it would be open to the institution which originated the proposal to choose whether to maintain, amend or withdraw the proposal. Hardly practical. But the Swedish Parliament (the Riksdag) is determined to give it a try. The Treasury Committee of the Riksdag has raised objections against the Commission's proposed amendments to the Deposit Guarantee Schemes Directive. Under the amended Directive, deposit guarantee schemes must offer depositors up to €50,000, if their bank collapses. The schemes are to be 75 percent pre-funded from bank contributions, with the remainder coming from other sources. However, the Riksdag's Treasury Committee is opposed to a provision in the Commission's proposal which could see Sweden (or any other member state) being forced to lend money to other member states' funds, if these funds face a shortfall in cash. The Riksdag, going against the Swedish government, said that such mandatory lending could lead to some member states under-funding their deposit schemes, knowing that someone else would be lender of last resort. It also argued that the provision represents a violation of the EU's subsidiarity principle. The Riksdag will now seek to spread the word amongst other parliaments in a bid to get the Commission to reconsider the proposal. One tiny problem: many national parliaments around Europe are on recess at the moment - including the UK's. To muster the support of an additional eight will be a difficult task indeed. Over the last few days a story first picked up on EUobserver, then Austrian daily Wirtschafts Blatt and again today on Euractiv looks at the future of EU cohesion (also referred to as regional or structural) policy in the upcoming EU budget negotiations. The current interest was sparked by a letter to the Commission, penned by Poland, Hungary, Slovakia and the Czech Republic, calling for the European Social Fund (one of the cohesion policy's funding streams) to remain intact. In addition, a recent Polish government policy paper reportedly told its diplomats to ensure that the EU's €50bn a year cohesion spending remains untouched. One contact noted there is a danger that the bogeyman of "renationalisation of regional development" - the theory that each EU country should look after its own poor instead of creating a joint pot - could raise its head in the EU budget talks due to the politically painful austerity measures coming into effect across the union. However, when it comes to regional spending there is no reason for there to be an 'all or nothing' choice. As we have argued before almost half of the EU's regional spending is spent in the richer member states (those with a GDP 90% or higher than the EU average) and much of this spending represents poor value for money, due to the prescriptive top-down rules governing its expenditure. Repatriating this spending is not the same as abolishing cohesion policy altogether. There is an obvious deal by which countries with 90% or less of average EU GDP continue to receive the funding until they catch up. This should be the goal of cohesion policy after all - to allow those poorer member states to catch up with the richer ones. Once they have done so, they should take on the responsibility of funding their own poorer areas. On Friday, the Commission opened up a new fund of €1 million for think tanks and NGOs to further research how to "promote active European Citizenship". The €1 million fund comes under the 'Europe for Citizens' project, which has a colossal seven year budget of €215 million (2007-2013) and is projected to cost €32.5 million in 2010 alone. As we've argued many times before, these kinds of funding streams are shamelessly biased towards groups which more or less share the Commission’s political agenda of further integration and/or defending the EU status quo. And sure enough, the project description openly admits that also these fresh funds are designed for organisations which promote “an ever-closer Europe”. The emphasis on democracy is not a bad thing, but is, as ever, ironic. Most citizens across Europe don’t particularly want an elite-driven ever-closer union, artificially created by like-minded bureaucrats in Brussels; and most governments in Europe are forced to take tough decisions on spending, including cutting down on vanity projects – knowing that they will face their electorates and taxpayers for every spending priority they make. This self-reflecting contradiction in the EU’s communication/citizenship/we-are-the-world spending programmes hasn’t dawned on the Commission yet. A lot of attention has been paid in recent weeks to the European Parliament-funded virtual reality experience, Citzalia, which recreates life in the Parliament online. As its weblog states, it is "a role playing game and social networking forum wrapped in a virtual 3D world that captures the essence of the European Parliament." All for the tidy sum of €275,000. In The Sunday Telegraph, Christopher Booker made the suggestion that "We are given virtual democracy in exchange for real power”. However, it seems that even "virtual democracy" cannot be trusted by the EU. The Guardian reported that in the new taxpayer-funded virtual world, "Avatars of European commission officials will also wander the halls 'correcting' mistaken views about the EU." The developer stresses that "there won't be any censorship, but there is a huge risk that misinformation could be fed in. They won't be editing for views, but having these people in can sort of correct things." Given the EU's inability to accept what voters tell it in the real world, it is hardly surprising that Alles tonenit cannot trust ordinary citizens (who, let us not forget, are paying for this through the EU budget) to have their own debate online, without the need for EU supervision (sorry, "correction"). A famous Chinese proverb says: "When the finger points at the moon, the foolish man looks at the finger". 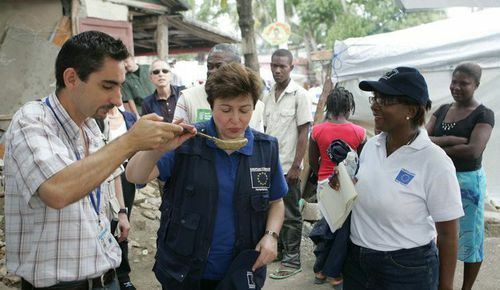 We don't know if EU Commissioner for Humanitarian Aid Kristalina Georgieva (in action in the picture) is familiar with Chinese proverbs, but this one she would do well to contemplate. "Raising the visibility of Europe and making sure that our flag shines when we are abroad helping people in need is something that I find incredibly important. Especially now, when we are still not through with the economic and financial crises and it is hard for people here, and we also have our own disasters at home". Say what? You would think that the existence or not of EU flags is the last thing anyone (not least the 14 million victims) cares about on the ground of Southern Asia's worst flooding in 80 years. But the EU's Aid Commissioner knows her priorities. Euractiv also noted that "Georgieva said she was telling humanitarian organisations that they should do more to help the EU to help them by flying the EU flag". So EU flag first, then aid, is that the message? Of course Europe should give emergency aid to Pakistan - and much of it (given that it is properly targeted and effective - which unfortunately EU aid too often isn't). But the EU's obsession with visibility and flag-waving is becoming more disturbing by the day. What's next, a fine for Pakistan for failing to fly the EU flag? An interesting article on Spanish website Cotizalia. It looks at recent Eurostat data, which shows that, since the euro came into force, Spain and Greece have seen the highest increases in the cost of living throughout the EU. In comparison to the rest of the EU27 index, the cost of living in Spain has increased by 14.5 percent and in Greece by 14.8 percent, whereas it has remained reasonably stable in Germany. A pretty toxic political combination when coupled with high unemployment, which shows no sign of abating anytime soon. Looks like U.S. President Barack Obama will meet with his "European counterparts" (at least in terms of pay, they're on par), Commission president Jose Manuel Barroso and the President of the European Council Herman Van Rompuy, after all. A NATO summit in Lisbon on 20 November will be used to make up for the Obama Snub earlier this year. "Presidents Van Rompuy and Barroso are looking forward to this opportunity to meet again with President Obama to reaffirm the transatlantic agenda and advance EU-U.S. cooperation on issues of mutual concern," the Commission said today. Now, the big question is: who will get the opportunity to shake the great man's hand first? Euractiv has returned from its summer break with a rather good, albeit concerning, story about concerns over German EU Energy Commissioner Günther Oettinger's extra-curricular activities. It has been revealed that he has been forced to re-submit his 'declaration of interests' three times and it's still not right. It seems that Oettinger has repeatedly failed to disclose the full list of trusteeships he undertakes and Stern reports that German prosecutors are checking whether he committed a criminal offence by lying in his affidavit, following charges made by German management consultant Andreas Frank. Makes you wonder whether other Commissioners are also being economical with the truth when it comes to potential conflicts of interest? And if Oettinger is unable to fill out a simple form at the third time of asking, is he really capable of solving the EU's pressing issues of energy security and liberalisation? The eurozone is experiencing some economic growth again. Data published the other day by Eurostat shows that eurozone GDP expanded by 1% in the second quarter of 2010 from the first quarter, and by a flattering 1.7% in comparison with the second quarter of 2009. This is good news for a range of different reasons. But behind these figures loom a familiar problem: the eurozone's highest growth rate in more than three years comes with huge competitiveness gaps between stronger and weaker eurozone economies. The contrast between the impressive 2.2% expansion experienced by the German economy and - for example - the meagre 0.2% growth registered in Spain and Portugal is concerning, to say the least. Not to speak of the 1.5% contraction in Greek GDP over the same time period. The recent sovereign debt crisis has shown that the single currency has failed to deliver on one of its major promises - boosting economic convergence and reducing gaps in competitiveness between eurozone members. Even when growing, one of the eurozone's deepest structural problems - its asymmetry - continues to smoulder beneath an aggregate surface. What in fact occurred is that Germany surged ahead with an undervalued currency, exporting Mercedes and BMWs to China. While Spain, Italy and Portugal are being left ever further behind in a split-level union with an overvalued currency. The data is cruelly double-edged. It's the same old story: Germany in a league of its own, carrying a few of its neighbours along; and beneath that, the laggards that are teetering on the brink of recession. The media reported last week that EU member states have agreed to push for €3.6 billion worth of "cuts" to the EU budget for 2011, bringing the new total figure to €126.6 billion. We're eagerly awaiting the day when the word "austerity" enters the Brussels vocabulary. In global affairs, the EU seems to suffer from a peculiar lack of confidence, stemming from its all too frequent failure to come up with anything meaningful to say on the world stage. This is probably also why EU leaders attach such a huge importance to summits and institutions, such as the External Action Service - they serve as a way for the EU to cover up the absence of substantive policies. As we've argued before, this is completely the wrong approach. Being an influential voice in the world stems from being a competitive and vibrant global actor with real policies on offer - not from obsessing about family photos, meetings and artificially created institutions. The rest of the world usually sees through the EU's charades, as was evident from the infamous "Obama snub" back in February, when it emerged that the American President had decided to give the EU-US summit a miss this year. Now we hear that the EU is hoping that a summit with the Americans will go ahead after all, slightly postponed. EU officials hope that they can tack on a meeting to a Nato summit in Lisbon in November. The newly appointed EU Ambassador to the US João Vale de Almeida - who apparently hopes that he will be "the leading show" among European representatives in Washington DC - complains in the FT about the lack of attention the US gives the EU. “Not being a problem does not mean we should not be a priority,” he says. "There’s untapped potential in this relationship ... We can co-operate better on foreign policy, from Iran to Pakistan, to the Middle East and the Balkans", which is probably true, but again, the focus must be on substance and not handshakes for the sake of them. This president is not a schmoozer – he doesn’t hang out. We don’t feel the need to profess love because it’s a fact of life that Europe is our main partner, in everything that we do in the world … Do you need to say that all the time? How to put the money where your mouth is on defence. Just to start off with. I do not consider it solidarity if it is solidarity between the poor and the rich, of the responsible with the irresponsible, or of taxpayers with bank owners and managers. I can only regret this breach of solidarity within the euro area and I expect the eurogroup and the [economic and finance ministers'] Council to return to the matter in their next meeting. And in what can only be considered a thinly veiled threat, Mr. Rehn's spokesman added that Slovakia will not face any legal penalty for its Greek u-turn but should expect unspecified "political consequences." It's true the top politicians in the eurozone are not excited by our position and that we have irritated them quite a lot. But this is only because they have been creating alibis for themselves and we have held up their behaviour to a mirror. NB: At the same time, Slovak MPs did back the country's participation in the eurozone's overarching €750 billion bailout fund, the European Financial Stability Facility (EFSF), which puts Slovak taxpayers on the hook for €4.4 billion. EU Commissioner Lewandowski hasn't exactly hit a home run with his comments about the Commission's forthcoming proposals for an EU tax. Okay, it's not the idea of transferring fiscal sovereignty but the timing that rubs Monsieur Lellouche the wrong way, but still. “if we use [a financial transaction tax] as a source of finance for the EU, it eases the burden for net contributors. Whether the financial transaction tax goes into the domestic budget or is used for the refinancing of the EU or a small amount is transferred to the EU is not that important”. Having previously confirmed his commitment to a financial transaction tax his support was somewhat expected. Spanish Prime Minister Zapatero also said he would consider a concrete proposal from the Commission “with interest” and “maximum attention,” if “the idea behind it is strengthening the European Union,” reports EFE. Media reactions haven't been overly positive either (at least from the Big Three). Einar Koch, Chief Correspondent of German tabloid Bild, exclaims "EU tax, no thank you!” He argues that “The EU desperately needs structural reforms in its expenditures instead of new sources of revenue.” Another attack comes from Dutch MEP Derk-Jan Eppink who says that the proposals should be fought “with fire and sword,” according to Standaard. 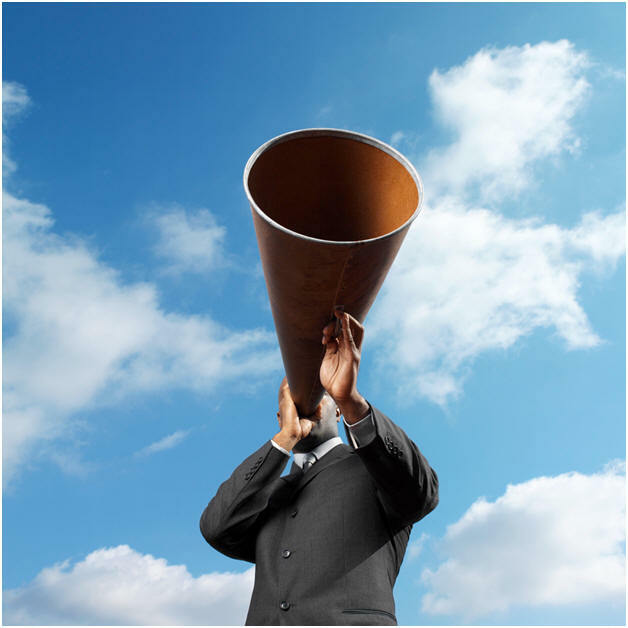 A commentary in Focus at last finds something positive in a potential direct tax. Giving the European Parliament a say in tax jurisdiction would force MEPs to justify the added burden of additional expenditure to their constituencies. This could actually cause the parliament to take its role of budgetary oversight seriously, instead of constantly propose spending increases to fund their own pet projects. An interesting thought. Judging from these reactions, Brussels latest attempt at grabbing fiscal powers will last about as long as England in the World Cup. But this being EU politics, we doubt the idea will go away so quickly. As we've noted before, there's a dangerous temptation for the net contributing member states here, which Lewandowski is trying to exploit and test (with limited success so far). Brussels specialises in repackaging and rebranding ideas (but with the substance unchanged), in order to overcome opposition. Let's wait and see until Lewandowski has actually tabled his proposals. The outcome is still far from clear. Today's FT Deutschland splash reveals that EU Budget Commissioner Janusz Lewandowski will in September table different options for introducing an EU tax to fund the bloc's budget. Apparently, Mr. Lewandowski believes that the current drive in Europe to cut spending is making governments more receptive to the idea of a single tax. Many countries want to be unburdened. In this way, the door has been opened to think about revenues that are not claimed by finance ministers...If the EU had more of its own revenues, then transfers from national budgets could be reduced. I hear from several capitals, including important ones like Berlin, that they would like to reduce their contribution. The thinking is that if the Commission raised its own taxes, then the burden on member states' budgets would be reduced, and member states would pay 'less' to the EU. This logic is of course fundamentally twisted as the burden on taxpayers - which surely is what matters in the end - would be exactly the same. Only thing that would change is the layer of government that raises the taxes. The Commission is effectively trying to play on governments' desire to be seen as cutting spending as a pretext to concentrate taxation powers in Brussels. The views of taxpayers - the folks who will actually pay for this - are simply ignored. According to Lewandowski, possible sources of an EU tax include a financial transaction tax, levies involving the Emissions Trading Scheme and/or a levy on air travel. EUobserver reports that the Commission hopes that a deal on an EU-tax can be reached during the Danish Presidency in 2012. Unsurprisingly, Lewandowski's comments have already provoked pretty strong reactions, with German Finance Ministry spokesman Tobias Romeis telling reporters in Berlin that, "Calls to introduce an EU-tax are in opposition to the position the government established in its coalition treaty, in which it says that we will deny an EU tax or EU involvement in national taxes." So the German coalition government says it will oppose an EU tax, but what about the British one? This would seem like an obvious one for the Coalition to squash given that it represents a massive step towards a federal Europe. But you can also see the temptation. A direct EU tax on, say, financial transactions or travel is easier to 'hide' than a line in the annual budget. The problem is that the UK's contribution to the EU is going up all the time - despite the almost universal belief in Britain that the EU budget is exceptionally poor value for taxpayers' money. The UK's net contribution is projected to rise to £10.3 billion in 2014/15 (according to the Coalition's June budget), meaning that in a decade, the UK's net contribution has increased by around 230%. This continuous increase has become a bi-annual embarrassment, which any UK government would like to put an end to (particularly when everyone is talking austerity). Creating an arrangement under which the UK's EU contribution actually doesn't show up in the budget would do the trick. In the end, though, it's very unlikely that the Coalition would be able to pull it off even if it wanted to - particularly as it has to get around its pledge to hold a referendum on transferring powers to the EU. And let's remember, most of Cameron's Cabinet genuinely don't want an EU-tax for a range of reasons, including ones relating to ideology and democracy. This debate will most certainly drag on. The Government has today announced that it is to introduce a one-in, one-out system of regulation whereby "When Ministers seek to introduce new regulations which impose costs on business or the third sector, they will have to identify current regulations with an equivalent value that can be removed." This is clearly a welcome initiative, as it will make regulatory costs (which are too often overlooked in austerity discussions) similar to spending, in that ministers would have to prioritise amongst different pieces of regulation just as they have to prioritise what to spend money on. But what about rules and regulations coming from Brussels? Our research, based on the Government's own Impact Assessments, shows that in 2009, 59 percent of the annual cost arising from all regulation introduced since 1998, £32.8 billion, stemmed from EU legislation. So that's around £19bn. (Note that this includes all regulations introduced since 1998 - when the government started to produce IAs - which gave rise to a cost in 2009, as opposed to the government's figures which only include new regulations introduced last year). Unfortunately, the Government has decided to duck the uncomfortable question and not include regulations from the EU in the scheme. This could prove problematic for several reasons. Firstly, it will limit the impact of the scheme, as it will not cover the bulk of the cost of regulation. As a point of comparison, imagine the Coalition having a series of proposals for how to get the country’s public finances in order, but only having full control of 40% (or less) of the actual budget. Secondly, ignoring the impact of EU legislation leads to unrealistic expectations of delivery. This, in turn, could undermine the credibility and legitimacy of the Coalition government's entire regulatory reform drive. Thirdly, and perhaps most importantly, the point of the budgets is to ensure regulatory prioritisation within departments. If so much of the annual regulatory cost originates in the EU – then how much of a real “prioritisation” can actually take place? This is particularly true for departments/agencies such as the DfT, FSA, HSE and DEFRA whose regulatory output is almost completely dominated by EU laws - in come cases over 90% of the cost (see table). Starting off with launching a flagship proposal which doesn't address EU regulation doesn't look too good, and gives the impression that the Coalition Government is in denial over how much impact laws stemming from Brussels has on the UK economy. According to negotiation theory, in the interaction between domestic and international (EU) politics, governments strengthen their bargaining power if they can convince their negotiation partners that their mandate from voters and business at home is very restricted – and that they are ready to stick to that mandate. That is how the Coalition Government should use the one-in one-out scheme. EU legislation should have to meet the same stringent criteria as domestic legislation (including being signed off by the Coalition's "Regulatory Policy Committee") . At a very early stage in EU negotiations, the UK Government should give its negotiators the authority to reject proposals that do not meet its priorities and threaten to break its own regulatory budget. UK ministers must make clear to their EU partners that they simply do not have the mandate to sign up to a proposal that will break their departmental regulatory budget. This would strengthen the UK's negotiating hand massively. It would be radical but not more radical than other member states simply choosing not to implement EU laws properly or resisting CAP reform, for example. The EU's WTD is a spectacular failure - what will the Coalition do about it? 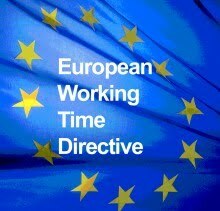 We have looked extensively at the EU's draconian Working Time Directive in the past (see here, here, here, here, here, and here for example) warning that it just won't go away. It is back in the headlines again, after a new survey has highlighted the negative impact it has on the NHS. The survey of 500 senior surgeons for the Royal College of Surgeons warned that the rules were creating a generation of “clock-watchers” with a “lazy work ethic” who no longer felt personal responsibility for their patients. Among consultants who did comply with the 48 hour limit, 56 percent said they had only done so at the expense of patient safety. And today we hear of further analysis by the RCS, showing that thousands more patients are now waiting longer than 18 weeks for surgery due to the EU rules. In fact, waiting times had been dropping since the 1990s but the WTD rules for junior doctors, which were implemented last August, has reversed the trend. The proportion of NHS patients having to wait longer than the 18-week target for non-emergency surgery such as hip replacements had almost doubled from 1.5 percent 18 months ago to nearly three percent in March this year. In total, the WTD costs the UK economy between £3.5 and £3.9 billion every year (at a time of austerity) - making this the costliest EU law on the UK statute book. This also makes it one of the more conspicuous examples of an EU regulation which continues to generate heavy costs year on year but that still remains unaddressed. It's also a blow to those who claim that EU social policy is effectively dead. The combination of the rules for on-call time, compensatory rest and the 48-hour limit has for years imposed heavy burdens on public sectors and business across Europe (in Sweden, the Netherlands and Germany for example) - without sufficient benefits in return. Trying to centrally plan how the working week should be organised for 27 different countries (with different healthcare systems, labour market models etc.) was always bound to spell trouble. And very few European governments particularly like the WTD (the European Parliament is a different story). At least 15 member states are currently using the opt-out from the 48 hour working week to get around the on-call time/rest rules. But because of the difficulties in changing EU laws once agreed, the WTD remains in place despite all the costs and evidence. The question now is: what will the Coalition government do about this spectacular failure? We have argued before that the UK should seek a comprehensive opt-out from EU social and employment policy, along the lines of what the Tories envisioned in opposition. There are a range of reasons why this would be a sensible policy. Although we won't repeat all the reasons here, it would, for example, be consistent with the Coalition's pledge to cut costs and bring decision-making powers closer to communities, business and families. It would also be the only way to ensure that the UK (and other countries) won't lose their opt-out from the 48-hour working week - which is continuously coming under attack from the European Parliament and narrow interests in Brussels. Losing this derogation would increase the annual cost of the WTD to the UK economy to between £9.2 billion and £11.9 billion - a ridiculous amount at any time, but particularly now. “It will be a top priority for the next Conservative government to restore social and employment legislation to national control." "We want to restore national control over those parts of social and employment legislation which have proved most damaging to our businesses and public services. For instance the application of the Working Time Directive on the NHS." "We will examine the balance of the EU’s existing competences and will, in particular, work to limit the application of the Working Time Directive in the United Kingdom." Not exactly the toughest statement, but better than nothing. Having dropped its pledge for repatriation, the Coalition Government needs to make the renegotiation of the WTD an absolute priority; it would save an awful a lot money and be consistent with the Coalition's pledge to scrap unwanted laws. To fail to deliver in even this, the most obvious area of EU renegotiation, would leave a very bad taste. And here there are allies to be found around Europe - it's just a matter of going to work. Frits Bolkestein, the former Commissioner for the Internal Market and former leader of the Dutch liberals, isn't shying away from frank talk. 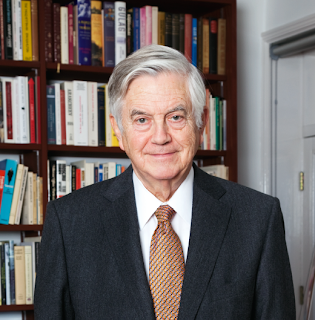 Earlier this year he penned a dynamite article together with Roman Herzog, former German President and Luder Gerken, Director of German think-tank CEP, warning that the EU was at the risk of "completely breaking down" if it did not win back the support of its citizens. Bolkestein has now taken aim at arch-federalist Guy Verhofstadt, the Belgian leader of the liberal group in the European Parliament. In name, the two veterans are fellow "liberals", on policy, however (at least on EU policy), they're poles apart. In an interview with Belgian magazine Knack on Friday (not online), Bolkestein takes the gloves off, calling Verhofstadt’s proposals for EU taxes and EU bonds “ridiculous”, saying “if they do that, then we don’t know where it will end”. Verhofstadt should shut up. I have told Hans Van Baalen, who leads the Dutch liberals in the EP, that he needs to resist [Verhofstadt’s proposals]. They should bring that up in the group, they should not let that happen. 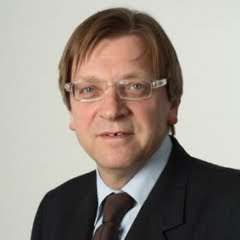 They need to tell Verhofstadt: you speak in the name of who? Then he will have to acknowledge that he is only speaking for himself. How is it possible that Greece has become member of the Eurozone? Who has been sleeping? I have done my best to keep the Italians out. I have pressed [former Dutch Finance Minister] Gerrit Zalm, although that didn’t take much. In Italy he was known as Il Duro, as Il Perfido. Ah, it hasn’t gone the right way. Tough talk. But he's raising the ever so pertinent question - who are the EU federalists (of which there are many in the European Parliament) actually talking for? We're eagerly awaiting round 2. The new Hungarian government, and its Prime Minister Viktor Orbán, has decided it's had enough of being dictated to by the EU and the IMF, which both recently halted bailout-loan talks, saying Hungary wasn't doing enough to make durable cuts in state spending. Orbán's government has said it will adhere to the 2010 budget-deficit target - 3.8% of GDP - set under the terms of its current loan agreement with the IMF and EU. But it insists how it goes about it shouldn't be the IMF or the EU's concern. "It's an economic freedom fight," said a senior official in Mr. Orbán's administration. "We are getting back the financial independence of the country." This will certainly prove to be an interesting backdrop to the ongoing EU discussions regarding 'economic government'.